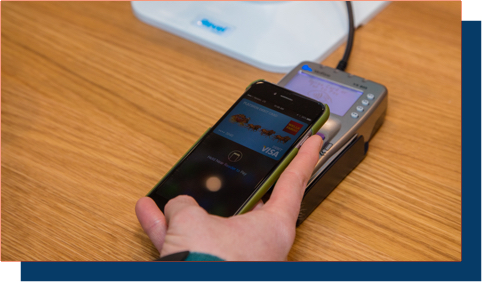 POS technology enabling growth, flexibility, and stability. The Revel Enterprise point of sale and business platform empowers organizations to streamline running a multi-location business while providing the tools to scale and grow. An intuitive iPad-based front end enables quick employee training and quicker checkouts, and a robust management console provides enhanced control and streamlined operational management. Boosted by a robust partner network and open API. Light footprint, cloud-enabled, low cost, easily scalable within locations and in opening new locations. Standardized hardware bundles are delivered preconfigured. Installation and consultative services to make sure you and your team get the most of your system. Phased implementation ensures smooth roll-out with dedicated account management. Revel’s enterprise platform is a great fit for our franchise system. At nearly 100 locations and growing, we have real-time access to analytical data that helps us make smarter decisions every day. Comprehensive management tools designed to de-silo isolated data channels and deliver real-time insight into all of the moving parts of the operation for a single location, groups of establishments, and across the entire brand. High-level stakeholders, including franchisors or corporate offices, are able to monitor business performance at multiple levels, providing visibility of performance from one location or across a thousand locations. It’s simple with Revel’s Enterprise Management System to standardize menus and pricing, set-up universal permission controls, and analyze data – from a single dashboard. Managers, supervisors, and franchisees have access to detailed establishment reports, can manage employees, and keep an eye on inventory levels in real time. Providing increased control and stability, Revel helps every location operate at peak performance. Revel’s front of house and back of house tools enable location staff to optimize operations and enhance the customer experience. Revel’s intuitive point of sale seamlessly sends orders directly to the kitchen display system for prep. With every order placed, sales and inventory levels are updated for increased transparency. 1100 Group, management and consulting group, utilizes Revel Systems to manage a collection of restaurants in the Bay Area, California. Download their case study to learn how 1100 Group does it all with the Revel platform. With over 100+ integrations, Revel connects businesses with the technology to run more efficiently. From accounting and eCommerce to CRM and workforce management, Revel offers the tools businesses need and the partnership integrations to maximize the platform. Beyond a robust partner network, Revel’s Open API empowers enterprises to build and integrate tools directly into the platform, enabling business growth. Contact your Revel Executive to discuss Revel and your business. Copyright © 2019 Revel Systems.